It was during Little Sister Sue’s birthday in January that Jay and I had the pleasure of meeting a very lovely couple (we’ll call them Bob and Gail) who are into board games, video games, and other nerdy, geeky things. 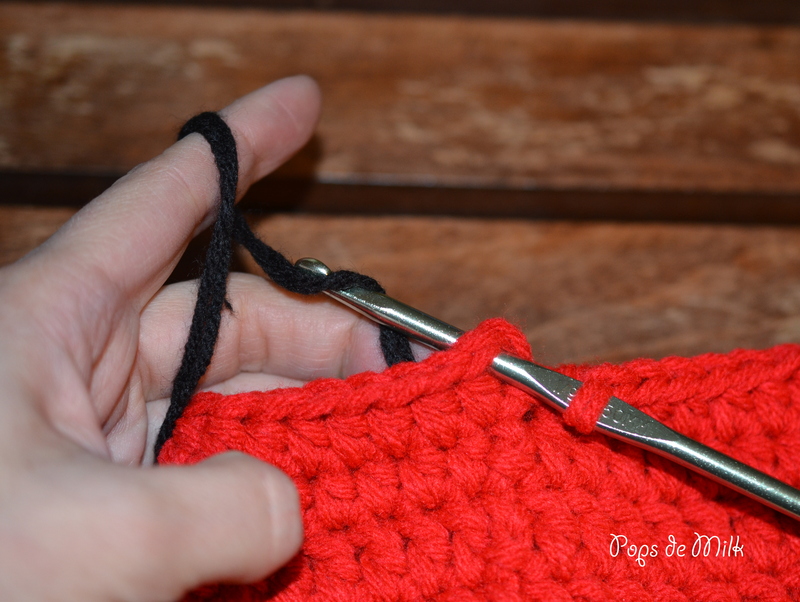 As we shared interests and pub food, my blog and crochet came up. Like a proud parent I showed off my crochet creations. 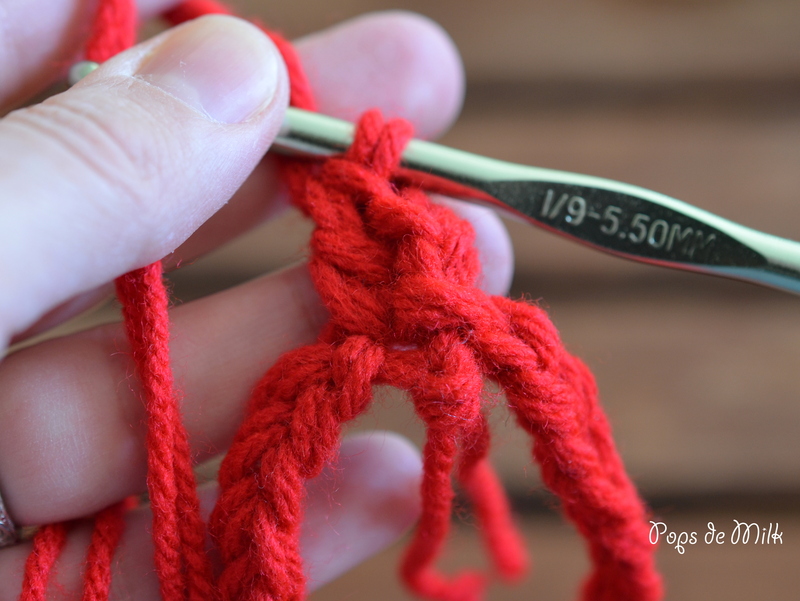 At this point, Gail was out of earshot and Bob took that moment to ask if I would crochet a Star Trek headband for Gail. 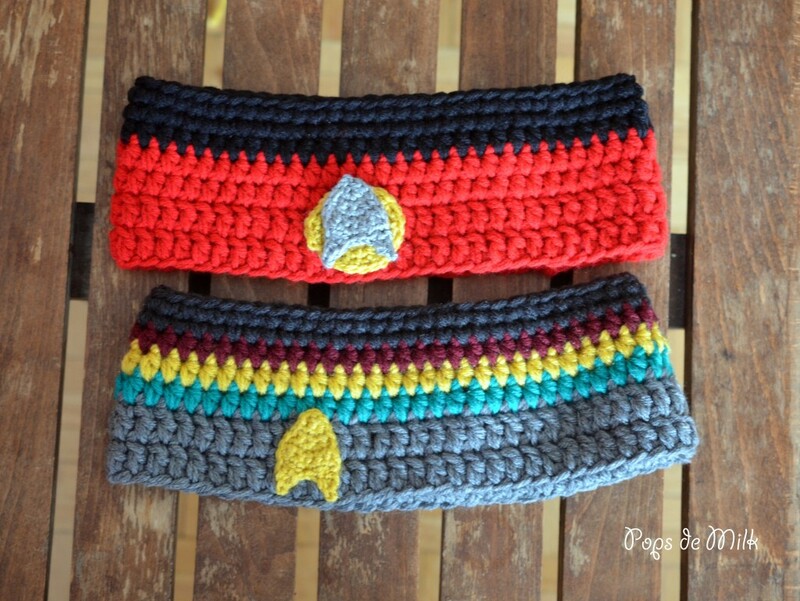 She’s a huge Star Trek Next Generation fan and wouldn’t it be awesome if she could go jogging while wearing a headband in the colours of the Wesley Crusher sweater? I couldn’t refuse and gladly accepted the challenge. Bob and I emailed back and forth and hashed out colours, size (he secretly measured one of Gail’s headbands), and cost. 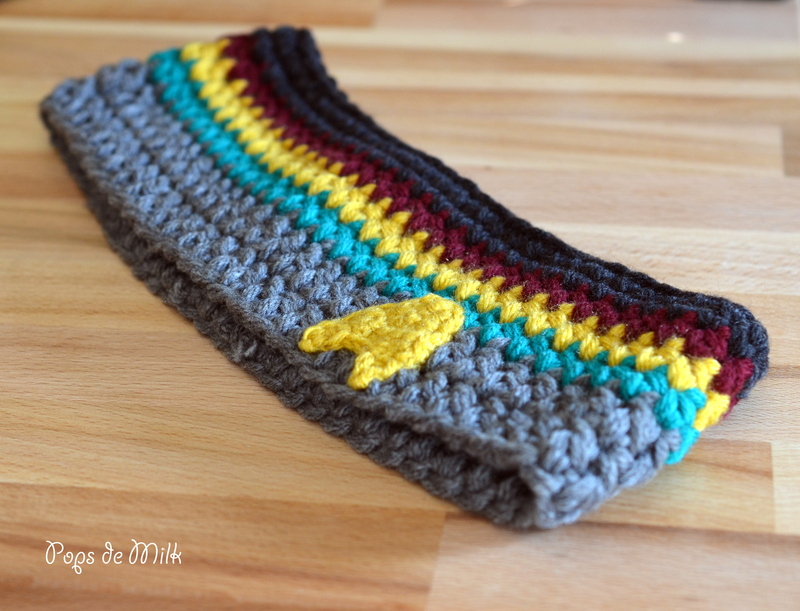 In the end, I came up with this Wesley Crusher headband for Gail. She loved it! Of course, I didn’t stop there. 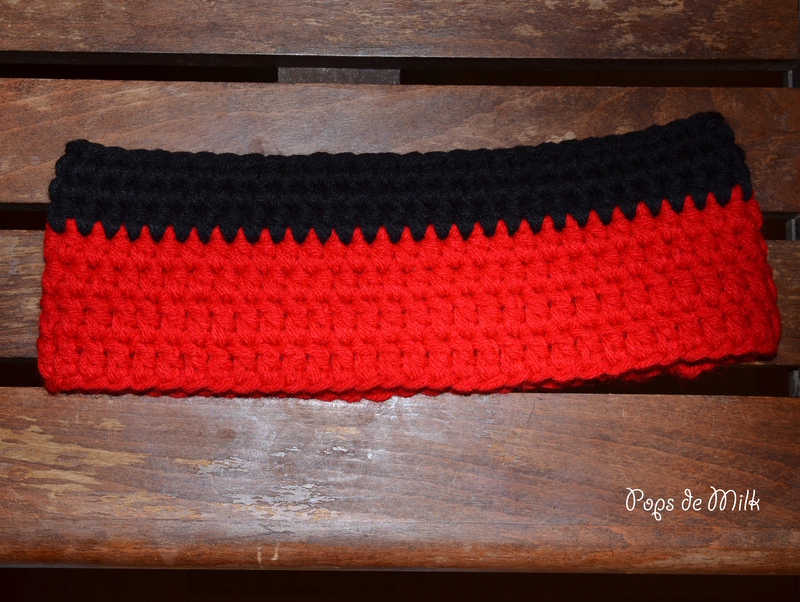 I decided to also crochet a Redshirt Headband or the Picard (or Riker) Headband. The pattern for this headband is very simple and would make a great project for beginners. 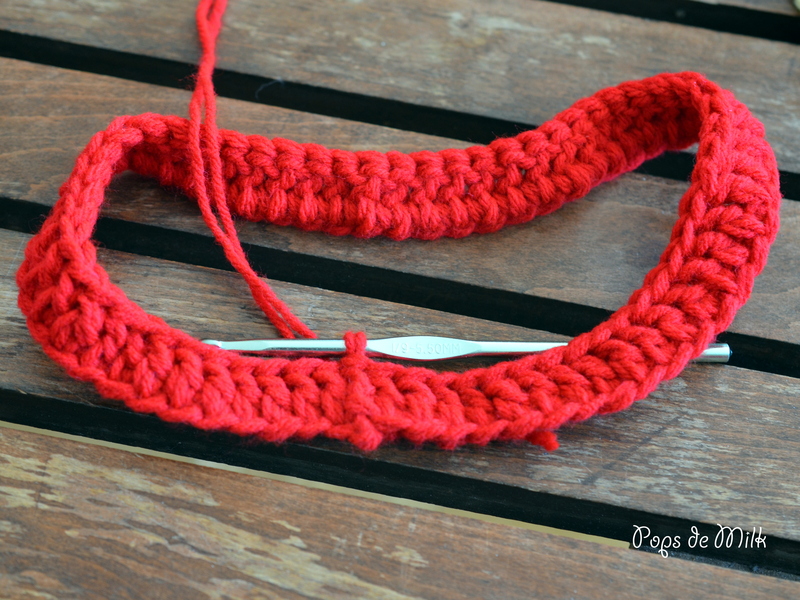 Pattern for headband is worked with two (2) strands of yarn held together to create a thick fabric. 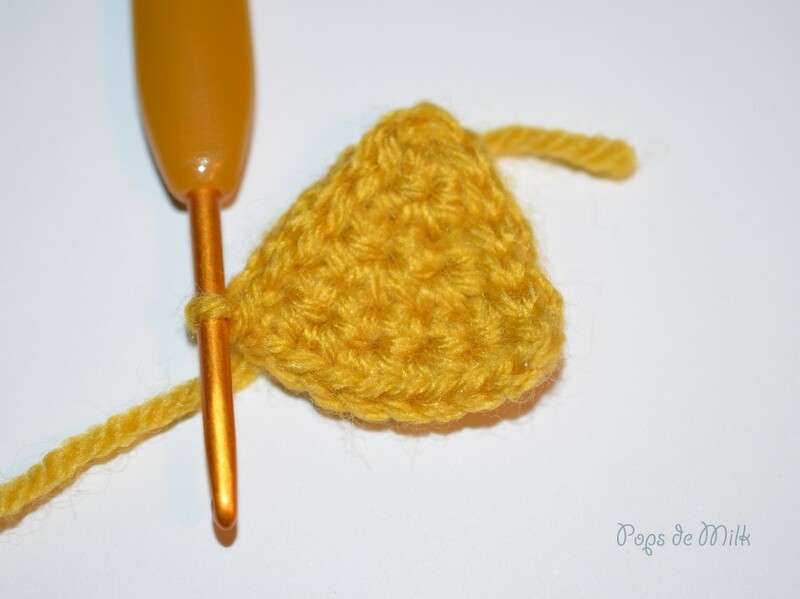 Work in rounds, joining with slip stitch at the end of each round. Do not turn at the end of each round. 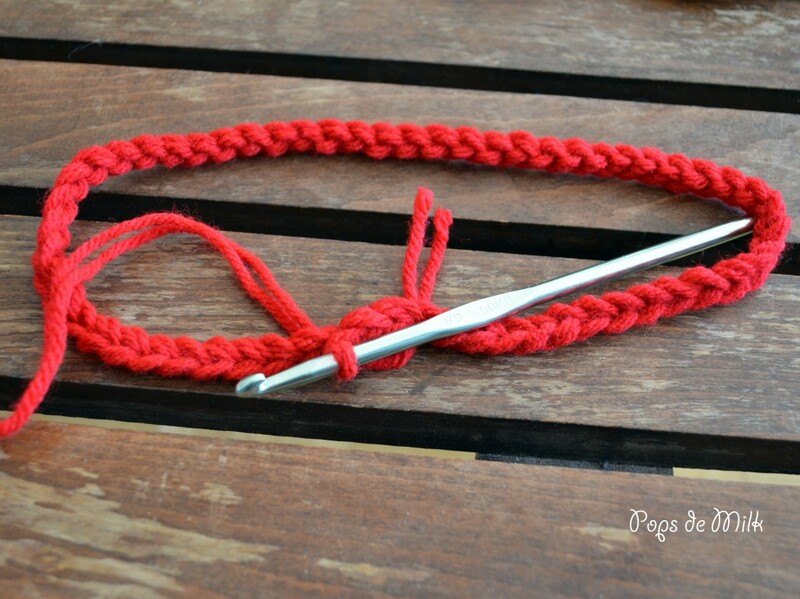 Starting with 2 strands of red yarn, Ch 60 and sl st to first ch. Rounds 1-2: ch 2, dc in same space as sl st and each st around, join with sl st to first dc. Rounds 3-4: ch 2, hdc in same space as sl st and each st around, join with sl st to first hdc. Rounds 7-8: ch 1, sc in next st and each st around, join with sl st to first sc. *Optional* for Rounds 7-8 you can decrease (sc2tog) at the beginning and end of each round to give it a rounder shape, like a hat. 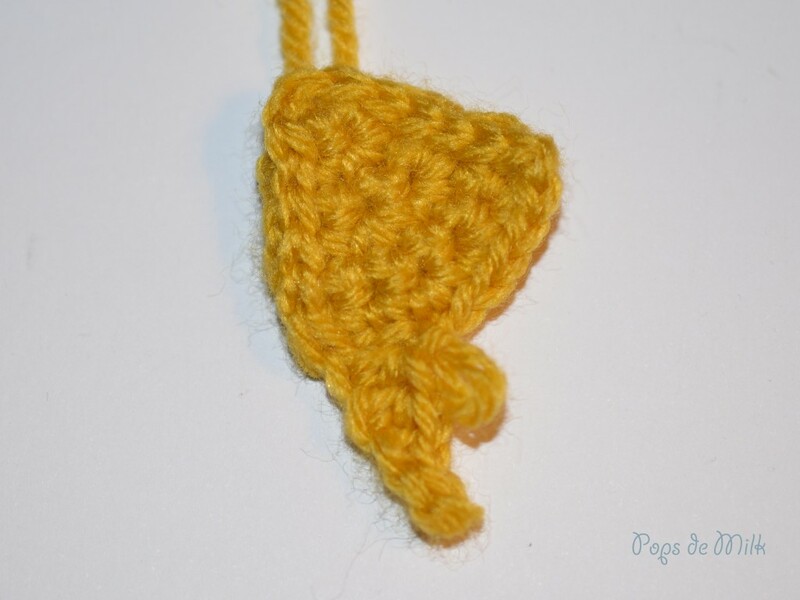 Combadge – with 3.50mm hook and using single strand of gold or silver yarn. 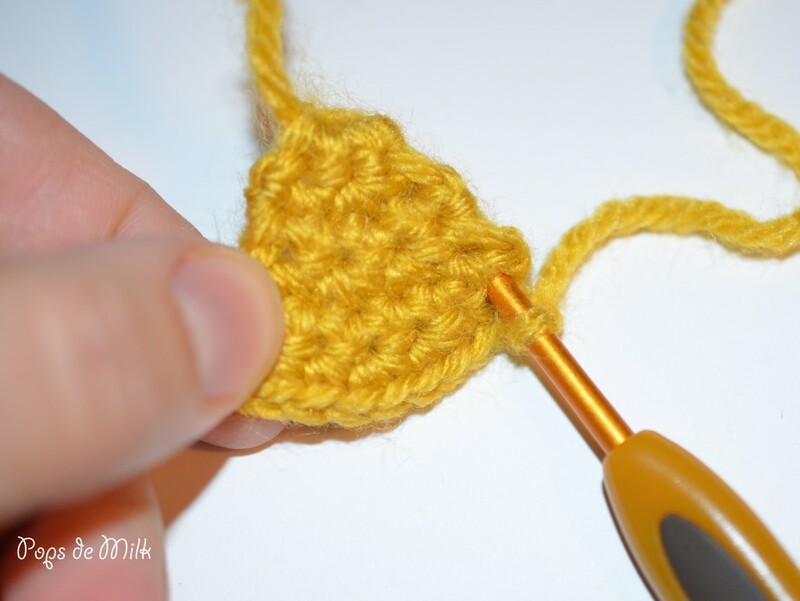 Row 1: ch 2, 3 sc in 2nd ch from hook, turn. Row 3: ch 1, sc in each st, turn. ch 4, sl st in 2nd ch from hook, hdc in next 2 ch, skip next 3 sc (on main triangle piece) sl st in next 3 and repeat to create the other point. 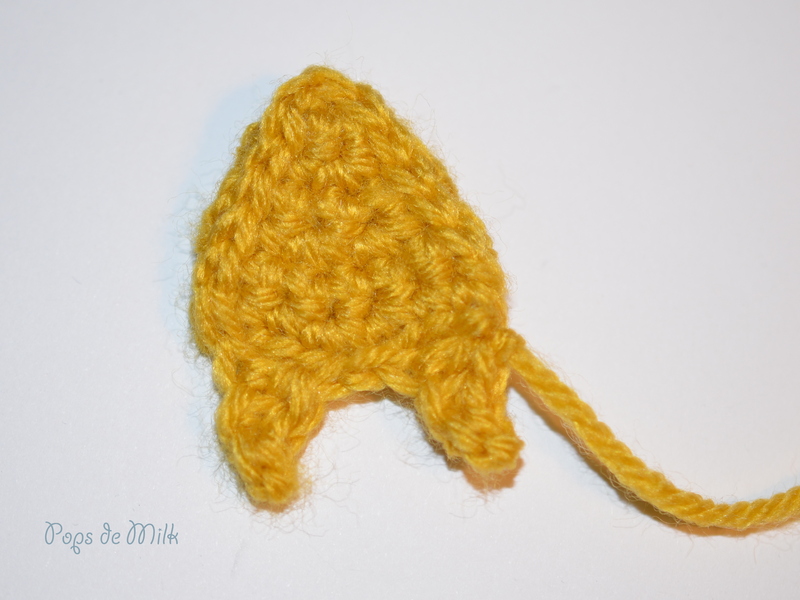 Fasten off and leave a long tail for sewing to headband. !!!!! I had to tweet this to @wilw.